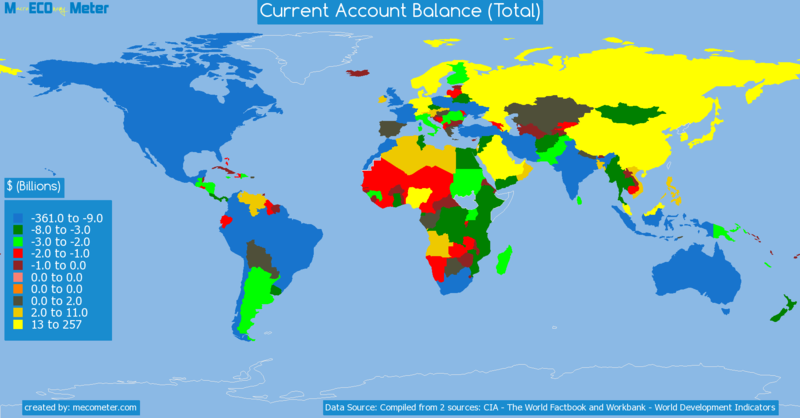 Value & RankThe Current Account Balance (Total) of Spain is 2.10 ( billions of $) with a global rank of 38. 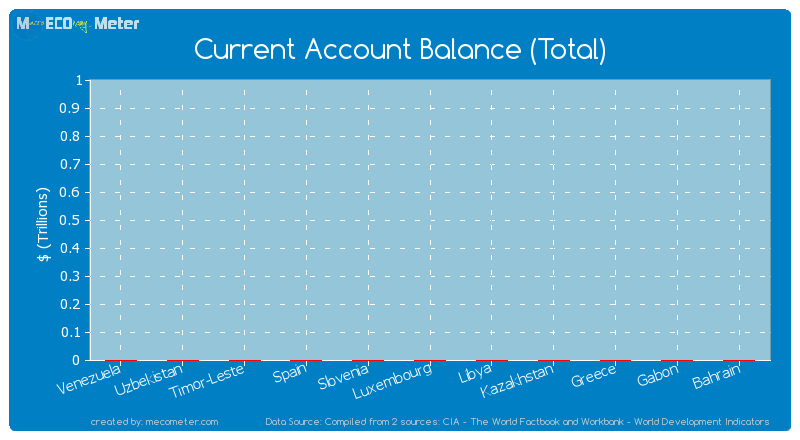 Spain compared to other CountriesThe Current Account Balance (Total) of Spain is similar to that of Venezuela, Slovenia, Libya, Luxembourg, Timor-Leste, Greece, Kazakhstan, Bahrain, Uzbekistan, Gabon with a respective Current Account Balance (Total) of 3.20, 2.95, 2.73, 2.70, 2.38, 2.02, 1.97, 1.91, 1.80, 1.78 ( billions of $) and a global rank of 33, 34, 35, 36, 37, 39, 40, 41, 42, 43.10 years growthSpain's Current Account Balance (Total) had a positive growth of 109 (%) in the last 10 years from (2003 to 2013). 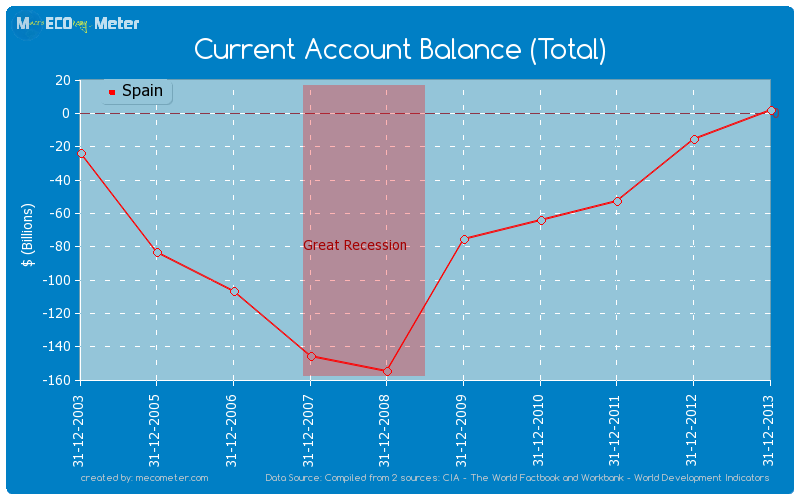 Last 10 years averageSpain had an average Current Account Balance (Total) of -65.2 ( billions of $) in the last 10 years from (2003 to 2013).